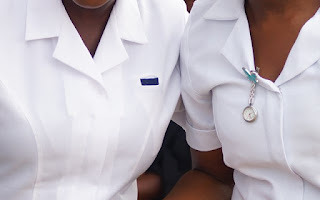 The Task force on Private Health facilities set up by Oyo State government said it has caught a nurse conducting surgery on a patient in a private hospital in Iseyin town in the state. The task force, GIFTEDBLOG learnt on Saturday was set up to sanitise the private health sector in the state. Leaders of the team while briefing journalists declared that they got to the Agbejemate Hospital and Maternity Centre in Iseyin at about 1:00p.m and met the male nurse in theatre carrying out a hernia surgery on a patient on Wednesday. It however noted that the hospital has been closed since then. It was learnt that the nurse, who is also the owner of the hospital, was a retired theatre nurse. He was subsequently served a notice to report at the Oyo State Ministry of Health. The task force, which visited other five health facilities in the town, also closed four other hospitals for offences ranging from non-registration of the premises, unhygienic hospital environment and failure to have qualified medical staff on ground. Other four hospitals closed include; Awidire Annex hospital, Insha Allah Clinic and Maternity Centre, Providence Clinic and Maternity and Anwar-ul Islam Movement Hospital. Chairman of the Task Force and Director, Secondary Health Care and Training, Oyo State Ministry of Health, Dr. Adebisi Ayoola, said that the management of the hospitals had been served to report at the state secretariat in Ibadan. He added that “The ministry will penalise him for that because he is not supposed to operate patients at all”. Ayoola who said visitations had also been made to other hospitals in Ibadan and Oyo also noted that the ministry received reports on medical negligence and deaths arising from unqualified medical practitioners from private health facilities on daily basis. He said although nurses and community health workers were allowed to register and operate health facilities, only doctors are allowed to register hospitals and carry out surgical operations.